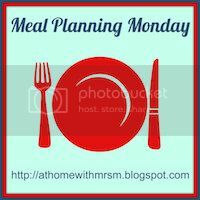 Just looked at my blog and seems all I'm posting are my meal planners! Not a bad thing I'm sure, but something I need to rectify soon. Today I made the effort to actually walk around Tesco's to get some meal time inspiration. I usually shop online for delivery and after today I've realised why; my chemo feet are killing me. However it's worth it, because I've a few more cupboard staples I wouldn't normally have bought, which'll give me a few more things to try. And because it's a Bank Holiday and no work, I've managed to weigh-in before I wrote this post. I'm pleased to say I've lost the 2.5 lbs I put on last week. I'm a happy bunny! My aim for this week is to lose a pound, which I think is doable. The least meal plan saw me trying and loving Jack's chilli and kidney bean, carrot and cumin burger. Great success all round although next time I'm going to play around with the burger seasonings, as it was a bit flat for my addled taste buds. I'm discovering the gorgeousness (and budget friendliness) of dried beans and pulses, I'm really enjoying them. They're tasty and good for you. The BBQ Bean Stew I saw on Sunday Brunch but I'm going to adapt it, taking out the treacle and sugar and using diet coke and cooking it down. A bit like Diet Coke Chicken but with beans. Will let you know how it works out! I've been pretty terrible with comfort eating this week though, so I've planned in some treats. I've some muller light greek style yogurt in the fridge with my name on them, which are 0.5 syns each and I'm going to make a sugar free jelly with natural yogurt too. Lunches as usual will be leftovers from the night before, but I've also planned a Slimming World Quiche, like this one but with extra vegetables to fill me up! You will also want to have a supply of different lines that you can use. Many thanks for this option!